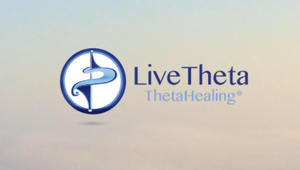 If you want to register please use the new registration site www.thetahealinginstructors.com, choose your classes and follow the instructions as you would to complete a purchase on an online store. If you have any questions or need assistance please send us an email. ✓ All seminars are imparted in English with consecutive translation to Spanish. ✓ Additional translations are included in the coordination fee if you select the available languages upon registration (Italian, Portuguese, Turkish confirmed for all classes; Russian for the Relationship Series) Translation devices are limited. ✓ Coordination fee is not refundable under any circumstances. ✓ The total amount to be paid is the sum of the Registration fee plus THInK's fee (seminar fee). ✓ Classes will be held from 9:00 to 17:00 hrs. sharp. More details on the seminars can be found scrolling down or click here. ✓ The student must comply with THInK's prerequisites to be able to attend the seminar and complete the Instructor's Certification. More info. ✓ To complete the Instructor's Certification each student must be present and on time for the full schedule of the seminar and must have completed all the payments (registration fee + THInK's fee) and contracts before it's start. ✓ The language you select when registering is the language for your material and translation (when it applies). If you do not find your language and need translation, we cannot guarantee it but you can apply by sending us an email to info@viannainspain.com or choosing "request language" on the registration site. Want to be a Teacher Assistant (T.A.)? What does it mean to be a T.A.? The Total Investment consists in 2 payments. This is collected in Euros and confirms your assistance to the classes and covers all the coordination of the event in Spain. 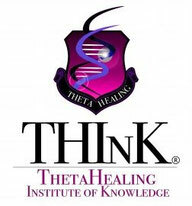 If you attend other ThetaHealing Instructor Certification this fee might change depending on the coordination team. This payment is established by THInK and it covers your certification fee and grants you a license agreement that allows you limited use of the trademark in accordance with the contract you sign before the start of classes. It is charged separately from the registration fee and is collected in USD.